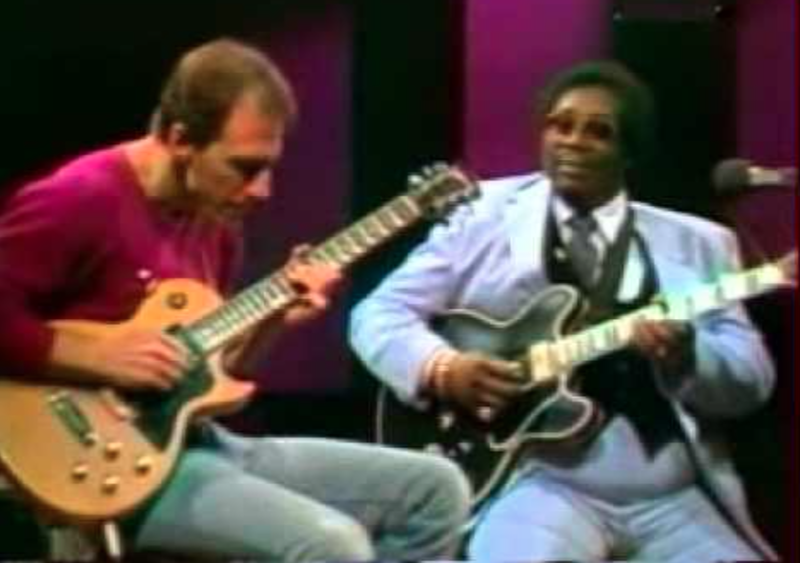 When session guitar great Larry Carlton first picked up the instrument at just six years old, he was already a huge music lover. Inspired to learn how to play jazz after hearing the great Joe Pass on the radio, he would go on to study players such as Wes Montgomery and Barney Kessel to help him develop this further. However, after being exposed to the legendary blues stylings of B.B. King, his powerful influence helped shape Carlton’s playing into the all-round player that he is today. So when the opportunity came to record a show with B.B. in 1983, Larry jumped at the chance. Titled “In Session”, the 47-minute video (which can be seen in the clip below) contains a mix of classic blues and fusion jams, conversations on phrasing, and performances of some favorites including; “The Thrill Is Gone”, “Hummingbird” and “Just A Matter Of Time”.